It’s the month of July – which means it’s time to celebrate local cuisine! Delicious hawker favourites are what define Singapore’s local food scene. If you’re thinking of trying your hands at some hot favourites (think Cereal Butter Prawns, Oyster Omelette and more! ), we’ve got the most straightforward and delicious recipes to get you started! Ready, set, makan! 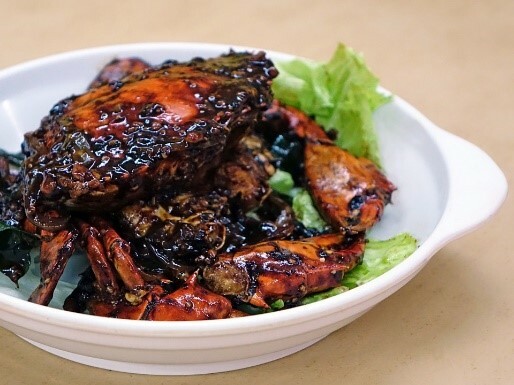 Ask any Singaporean and you will learn that the best way to prepare a crab is probably to cook it black pepper style or chili style! This easy recipe by Chef Michele Ow teaches you how to prepare this well-loved local dish in six simple steps. A definite must-have at your next dinner party! 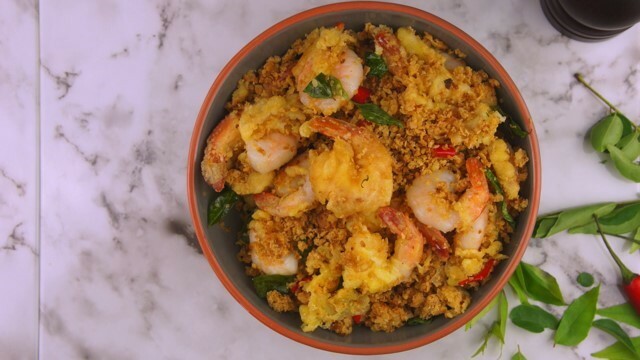 Cereal Butter Prawns – fresh, juicy prawns deep fried with a delicious coating of eggs, mixed with curry leaves and a touch of chili padi before tossing with delicious cereal! This hawker favourite is a must-have when ordering Zi Char dishes in Singapore. It’s easier to prepare than you think! Try this recipe and you’ll find out why it’s a perennial favourite amongst locals! 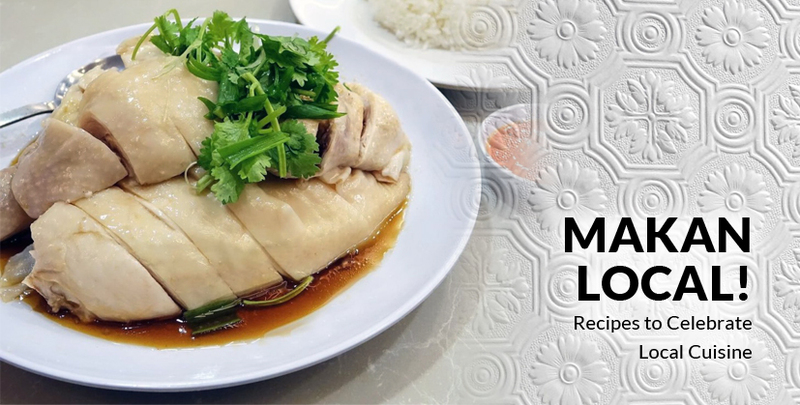 Arguably one of Singapore’s ‘national dish’, the humble Chicken Rice can be found at almost every dining spot, from nondescript hawker centres to high-end restaurants. 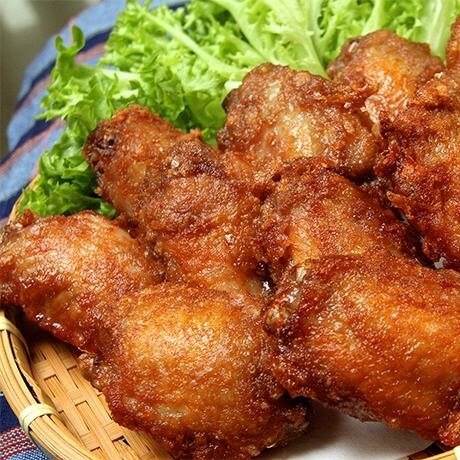 Consisting of succulent steamed white chicken cut into bite-size pieces and served on fragrant rice with some light soy sauce and garlic-chili dip on the side, this is a dish that spells comfort for many locals! 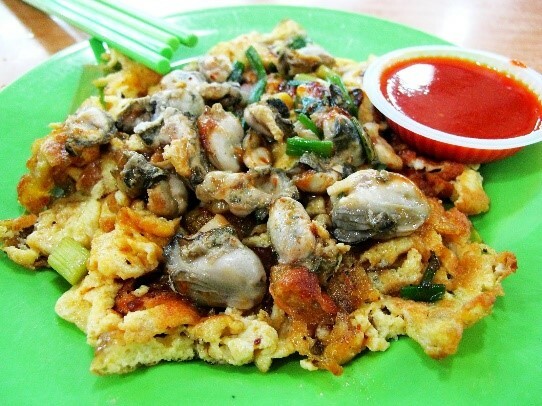 Another hawker favourite in Singapore, Fried Oyster Omelette (Orh Jian) is cooked with simple ingredients such as eggs and starch, topped with ocean-fresh, juicy oysters. Definitely a sinfully yummy indulgence! If you’re anything like us, make an extra batch of batter! The crispy, gooey bits might be the best part of this dish when dipped with the tangy chili sauce! 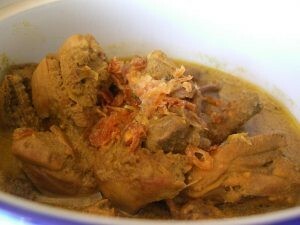 Though its origins may not be local, Chicken Rendang, or Rendang Ayam, is a lip-smacking dry curry that has come to be a very popular dish amongst locals! This delicious, spicy dish is packed full of flavour as it simmers with a spice paste and coconut milk, reducing the gravy until it’s almost gone.This remaining sauce then wraps itself around the meat, resulting in a flavour explosion that is best served with rice! Ready to take it to the next level? Roll up your sleeves and sign up for our Local Favourites Cooking Classes at TOTT @ Suntec! 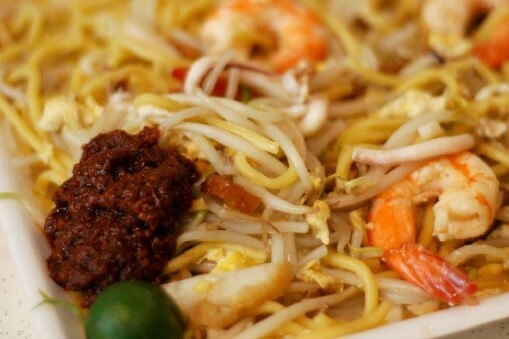 Check out the Local Favourites 2 Class taught by Chef Julie Yee at $98/pax and learn to cook Fried Hokkien Noodles, Fried Shrimp Paste Chicken Wings (Har Cheong Gai) and Sambal Chili Sauce (chef demo)! Full class listing in conjunction with Support Local Food Month available here. 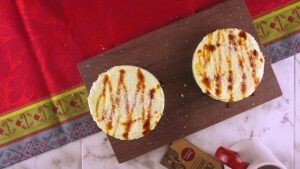 This entry was posted in Eat & Be Merry, Special Occasions and tagged Local Cuisine, Recipes.